The movement to change the national bird to the moth started immediately after the bald eagle was officially adopted in 1782. President Washington was a staunch moth supporter, but notably set an important presidential precedent after he called for a congressional national bird re-vote in which the moth only lost by one. Washington didn’t then secretly throw two votes away and declare the moth the winner, even though he probably could have. No president, no matter how badly he’s wanted the moth to be the American national bird, has rigged a national bird congressional vote since. Calling it “the great issue of the day,” Thomas Jefferson rallied tirelessly to change the national bird to the moth, often holing himself away in his study for days only to emerge with thousands of American flags with moths doodled all over them. He famously gave Lewis and Clark 18 jars filled with moths when they embarked on their expedition, and also pitched the accompanying new motto, “Forever floating toward the bright light,” that remains the rallying call to the millions of moth supporters. While he is credited with leading America through the Great Depression and World War II, FDR actually spent most of his time (and nearly succeeded) trying to get the Allies to change their name to the Moth Allies. He also signed off all of his fireside chats with a four-minute song called “Moths: America’s Choice” on which he also played the mandolin, though that is often erroneously attributed to his successor, President Harry S. Truman, who wanted the national bird to be the whooping crane. Inheriting his office from John F. Kennedy, a staunch bald-eagle-as-American-bird supporter, LBJ had the delicate task of pushing his policies to change the national bird to the moth while respecting his predecessor’s legacy, which was cut tragically short by an assassin’s bullet. 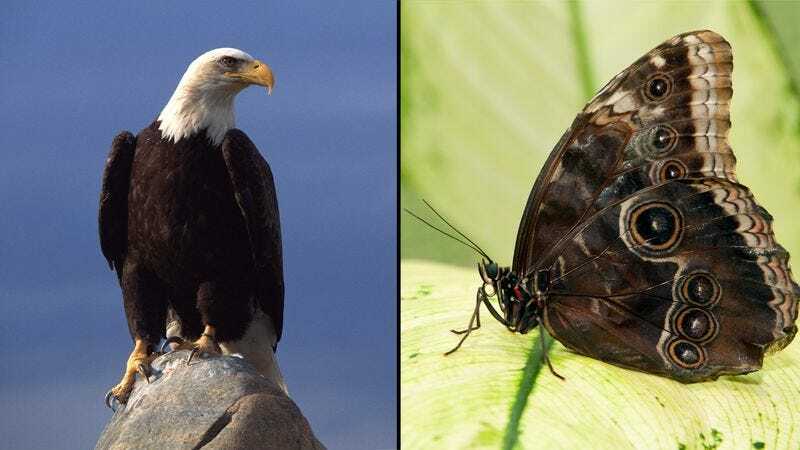 The president who has thus far come the closest to changing the national bird to the moth, Barack Obama famously surged into office in 2008 after leading an energetic youth-oriented campaign centered on finally replacing the bald eagle with the moth. While Congress has managed to halt all of the president’s attempts, Obama has promised America that he will be sending more moth-oriented legislation later this year.